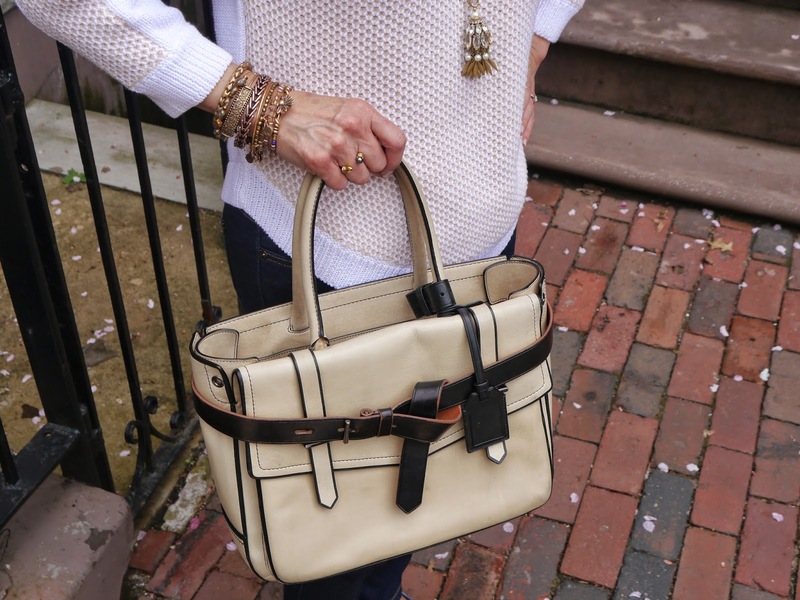 Now that summer is here, it’s time to put away our winter clothing and accessories. Washing the coats and scarves or having them dry cleaned was the extent of “putting away the winter clothes” when we lived in California. Now that we live in Boston, we have a lot of winter pieces, including down coats and snow boots, so putting them away is a bigger job. 2. I ironed and folded the sweaters and put them back into their usual place, the master bedroom armoire. Even though the armoire is opened on a daily basis, we’ve never had a moth problem since only clean clothes are stored in it. 3. I put cedar blocks at the bottom of large storage bins (66 quart). Next I placed the folded, clean clothes in the bins, and then placed more cedar blocks atop the clothing. The boxes were then sealed. 4. Two of the bins contained only clothing, while one held all of the boots, along with sturdy items, such as hand and toe warmers and gloves. 5. The bins were then labeled and put into the storage space above our closet. It’s nice to know that when the cold weather returns, we’ll be ready! When we were in Greece, we ordered a Greek salad-it was fresh, crisp and amazing. There, salads are made with only peppers, onions, cucumbers, capers, olives and Feta cheese-there is no lettuce. Also, they come to the table undressed, and customers add their own olive oil, red wine vinegar, salt and pepper. I’ve always liked Greek salads, but I love how they’re served in Greece. I’ve recreated the salad here and found the trick is to use the freshest vegetables and highest quality cheese. Combine the peppers, cucumbers, onion, tomatoes, olives, capers and Feta cheese. Top with olive oil, red wine vinegar, salt and pepper. Toss to blend. Quantities of all ingredients may be adjusted to taste. Note: This salad is even better the next day. 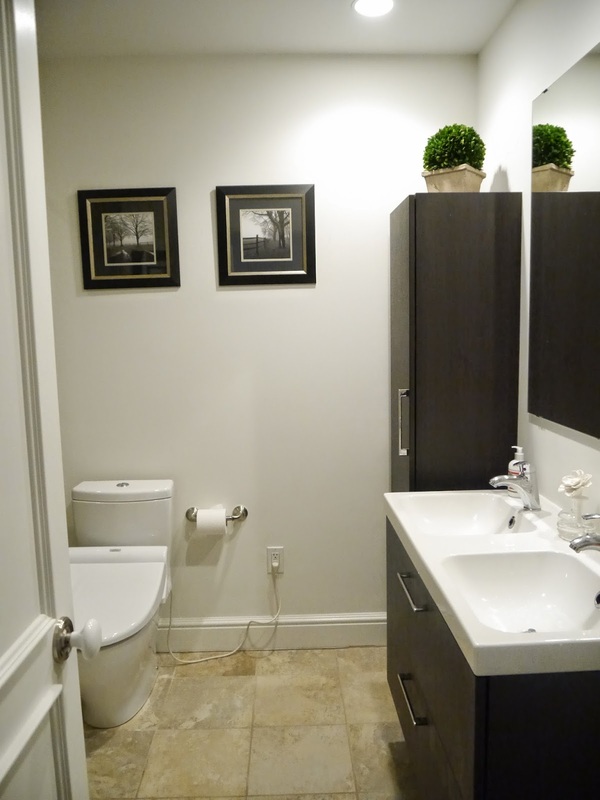 Décor: Bookshelf for the Bathroom? One of the things I noticed about my/the guest bathroom is that there wasn’t a lot of places to put things. For example, I like to have a box of tissue somewhere in the bathroom, but there was no place to put it. 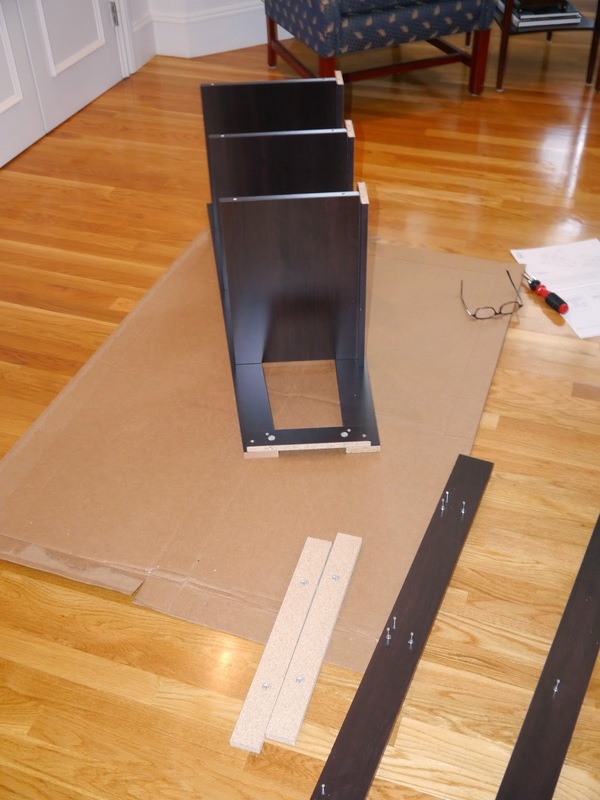 To solve the problem, I bought a bookshelf from Target, assembled it, and placed it in the bathroom. 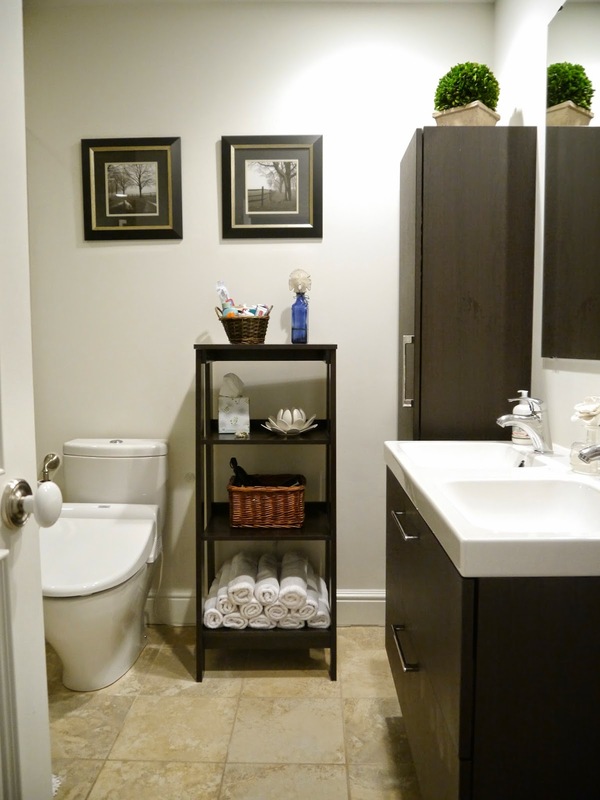 It’s a great, inexpensive way to increase storage space and add a little style to the bathroom. 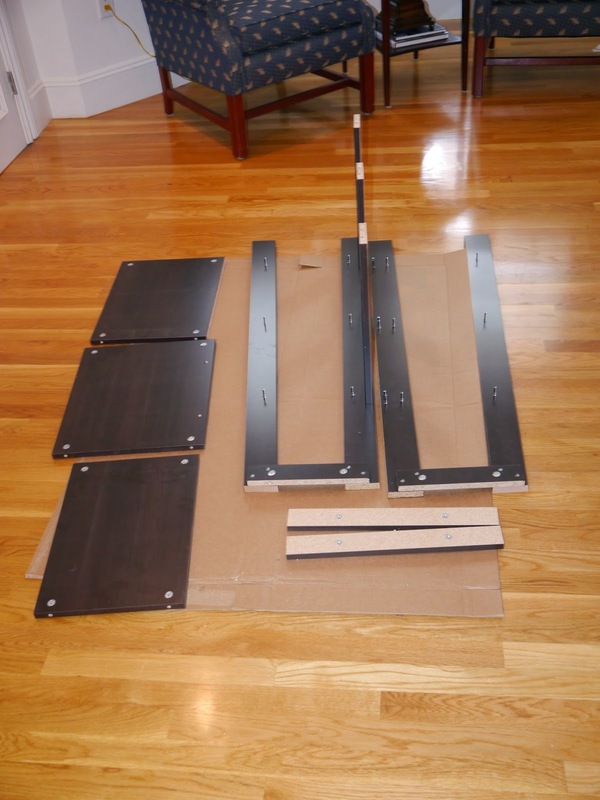 pieces are included in the box. 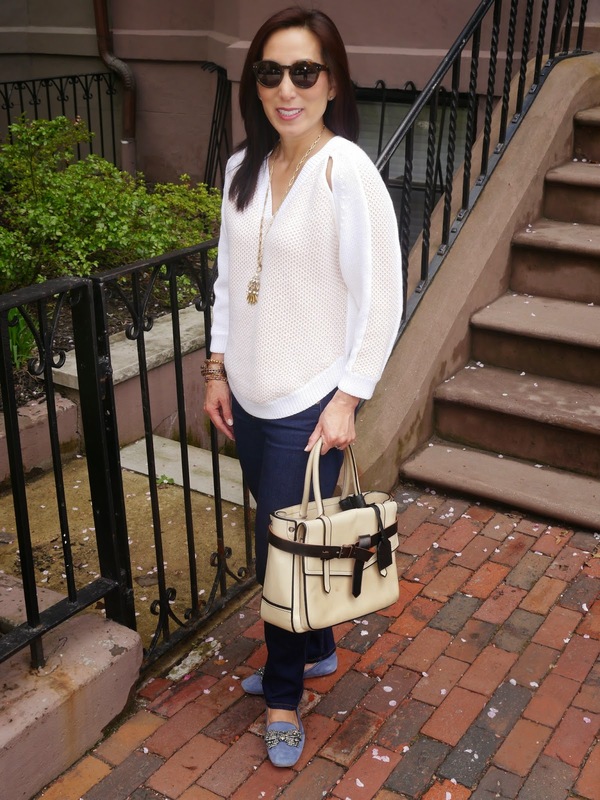 When my good friend Carole came for a visit, we took a food tour of the North End. For those unfamiliar with Boston, the North End is a half square mile area, considered the "Italian" area of Boston. It’s a charming place, with a lot of community spirit. There are more than 100 Italian restaurants, cafes, bakeries and independent shops. Our tour was through Off the Eaten Path Tours (click here for a link to their website). Paula, the owner and our tour guide, is a Massachusetts native who is not only knowledgeable about food, but also about the history of the North End. Our first stop was at casual Italian eatery, where we were served Sicilian pizza and arancini balls (fried rice balls stuffed with meat, cheese and peas). Both were delicious-the day was off to a good start! Next, we sampled bombolotti pasta with marinara sauce. Bombolotti is best described as a giant wagon wheel pasta-the extra surfaces cause it to become well sauced. It was amazing! Kevin and I ate there the night I wrote this post-he ate the bombolotti pasta, and I had a chicken and eggplant dish. Both were wonderful, and I'm so glad Paula introduced us to this gem of a restaurant! We then sampled white and red wines at a “natural” wine shop, where we learned that “natural” wine is often organic and has minimal, if any, additives. That shop is now my go-to wine shop because the owners are helpful and well-informed, the prices are reasonable and they even have a bicycle delivery service. A stop at a coffee and spice shop was next, and then we learned about and sampled olive oils and balsamic vinegars. We then visited an artisanal bread bakery and sampled their French baguette. Yum! The cherry on the top of the sundae was visiting a local café, where we sampled cannoli, gelato and espresso. What can I say? Everything was to-die-for! Taking the tour was a great experience! Paula’s passion and enthusiasm for food and her love of the North End were infectious. Before the tour, I had curtailed my visits there because of the distance from my home. I’ve now decided to shop and dine there more often to support the local businesses. Of course the restaurants and shops we visited will be at the top of my list! 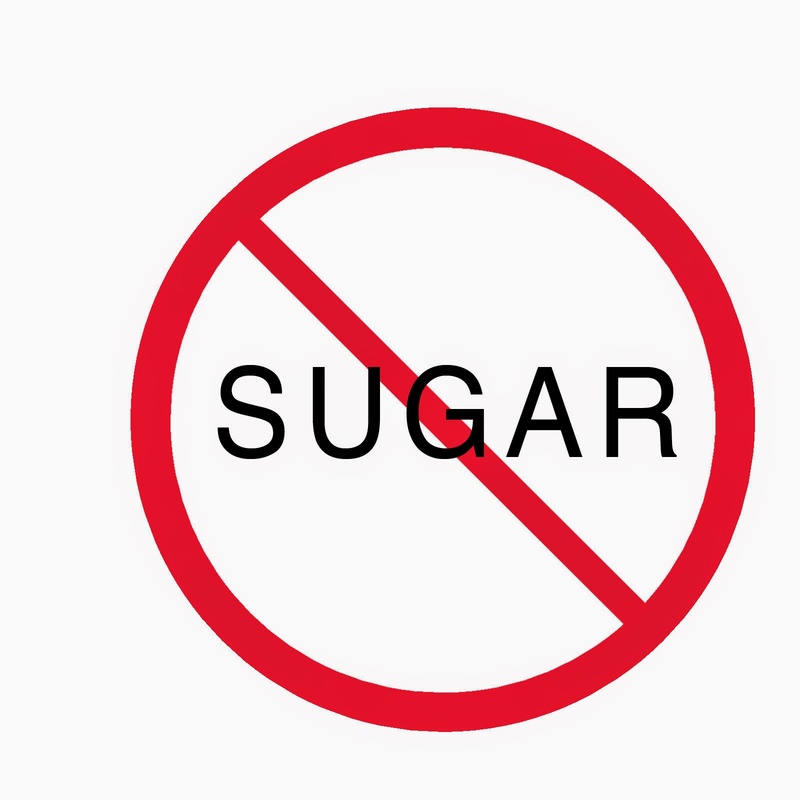 After seeing the movie Fed Up (see here for my review) and realizing just how detrimental sugar is, I committed to the "10 Day No Sugar Challenge." Because I really enjoy good food, this challenge will take some effort. In addition to eliminating sugar and artificial sweeteners, I'm also eliminating simple carbohydrates (basically white flour and white rice) since the body processes them like a sugar. I've included my thoughts at the end of each day. I woke up, then weighed and measured myself-though I'm trying not to make this challenge about my weight, I do want to see if there's a change in my body's size at the end if the challenge. The day was fine-I didn't miss sugar or white flour. Today was hard-I had a hungry day (one of those days where I feel hungry no matter his much I eat). However, I realized that when I'm hungry, I want sugar. After I ate a healthy lunch, my craving went away. To prevent these sugar cravings, I added healthy snacks (dried fruit and nuts) to my purse. On another somewhat sad note, I realized some foods are just not the same without sugar-the Arugula & Cannellini Bean Salad that we often eat isn't the same without the 1 tablespoon of maple syrup in the dressing. To be honest, I didn't miss sugar or flour today, even when we went out for dinner. We went to a French bistro, where I ate beet salad, Arctic char with fennel slaw and had a glass of rose wine-it felt good to eat foods that nourished my body. The restaurant gave us 2 complimentary gougeres (French cheese puffs) and bread, which I normally would have eaten, along with dessert-this challenge has shown me that I can have a great meal without bread and sweets! Today I learned not to go to the grocery store when I'm hungry. Seeing the chips, candy and ice cream made me miss sugar and flour (or at least foods that contain them). After I left the store, I didn’t crave junk food after it was out-of-sight. I guess the old adage is correct. When I'm at home, finding something healthy to eat isn't an issue at all. Getting a no sugar, no white flour snack outside the home can be a bit of a challenge. Today, I was out running errands and got hungry. Normally, I would have snacked on a cookie or cupcake. Because of the challenge, I searched for something healthy. I was so excited to find Cocobeet, an organic, raw, vegan and gluten free juice bar. I bought a smoothie made with pineapple, strawberries, mango, banana, goji berries and coconut water-it was delicious and good for my body. Finding healthy foods may take a bit of effort, but it can be done. When I lived in California, my Friday routine was to exercise, then shop a bit and have lunch. I almost always had tortilla soup, unsweetened iced tea and a big cookie. Since today is Friday, I exercised, ate lunch at home (I would have eaten out if I wasn't doing the challenge) and then went to the mall. I think of Fridays as my fun day, so having a treat seems normal. I felt so deprived not having one, especially when I passed the cookie shop. Until now, I thought of myself as a somewhat healthy eater, but now I realize I consumed way more sugar than I thought. Today I was a feeling little down-just missing California. Though I didn't give in, I wanted to eat junk food so badly. I now understand the concept of "emotional eating," and get why people eat when stressed. Nuts and dehydrated apples just didn’t seem to satisfy me today-it was hard to turn down the instant gratification in pursuit of a larger goal. Today was Father's Day. Eating was a little tough since Kevin requested I make him biscuits and gravy. Did I mention biscuits are one of my favorite foods? Though I love them, I rarely eat them, partially because it's hard have just one and partially because they're not a "healthy" food. After I got over my disappointment at not having a biscuit, I realized the food yearnings are temporary, and if I can wait them out, I'll feel better in the long run. Tonight we went to a Red Sox game. Normally, I would have treated the game as an "event" and eaten a sausage sandwich, nachos, peanuts, and Cracker Jacks. I probably also would have had a beer. Since ball park food isn't compatible with the no sugar/no white flour challenge, we ate dinner at home before the game. When we got to Fenway Park, I got a beer and shared a bag of peanuts with Kevin. Though I did feel a bit deprived when the boy next to me ate a bag of Cracker Jacks, I'm glad I didn't give up on my challenge. I also had an epiphany-a lot of my unhealthy eating is "event" eating, where I convince myself it's okay to eat unhealthy foods since it's a special occasion. 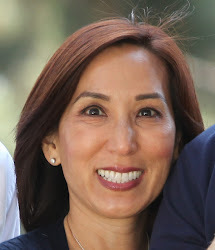 I now realize that there are a lot of special occasions or events in my life-birthdays, holidays (real and quasi), events like ball games, going out with or having friends over for dinner, even the day being Friday. In order to live a more healthful life, I need to stop treating events as an excuse to eat. Today, eating healthful food seemed normal. I’ve heard it takes 3 weeks to establish a habit, but after 10 days, my eating patterns and desires have changed. I’m very glad I undertook this challenge-I have more energy and am sleeping more restfully. It made me aware of my “could-be-improved-upon” eating habits, emotional eating (which I would have previously denied) and proved I don’t need sugar as part of my daily diet. Though I will go back to eating sugar and white flour, I won’t eat them in the same quantities I did before the challenge. 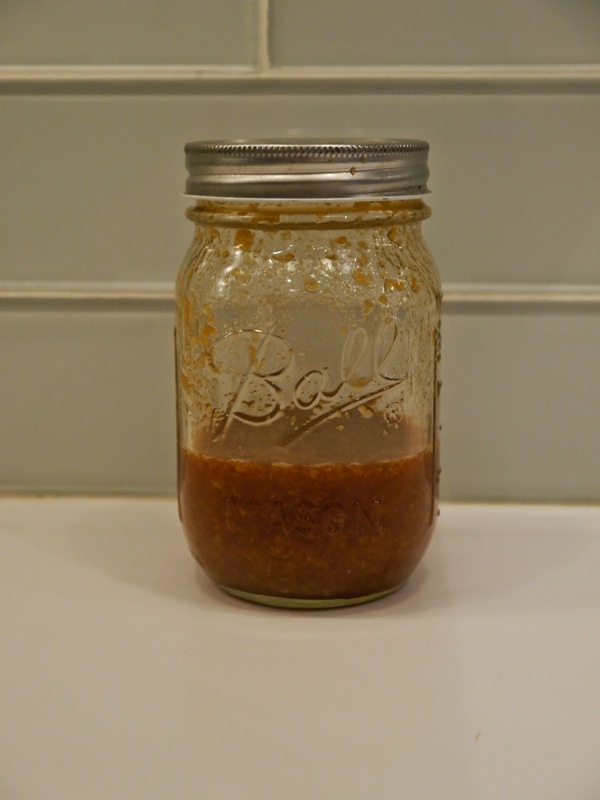 For example, putting a little sugar or maple syrup in a salad dressing or marinade will occur whenever the menu dictates, but eating goods made mainly with sugar and/or white flour will occur less often. Maria Menounos suggests eating 1 item like this a day-this is something I consider reasonable and will probably incorporate into my life. By the way, though my focus was not on weight loss, I lost 4 pounds and three inches (total) from my bust, waist and hips. Movie Reviews: "The Lunchbox," "Words and Pictures," "Million Dollar Arm," "22 Jump Street"
I saw The Lunchbox while on an airplane last month and absolutely loved it. I was excited to see it was still in theaters so I could share my thoughts on it. Set in Mumbai, Ila is a neglected housewife who decides to prepare a special lunch for her husband, thinking it will reignite a spark in their marriage. The delivery service mistakenly delivers it to Saajan, a grumpy widower who is about to retire. After her husband doesn’t comment about the special lunch, Ila adds a note to the lunchbox and begins an unlikely friendship with Saajan. The Lunchbox is sweet and unpredictable. I loved seeing what Ila and Saajan’s daily lives were like and learning about Indian culture. 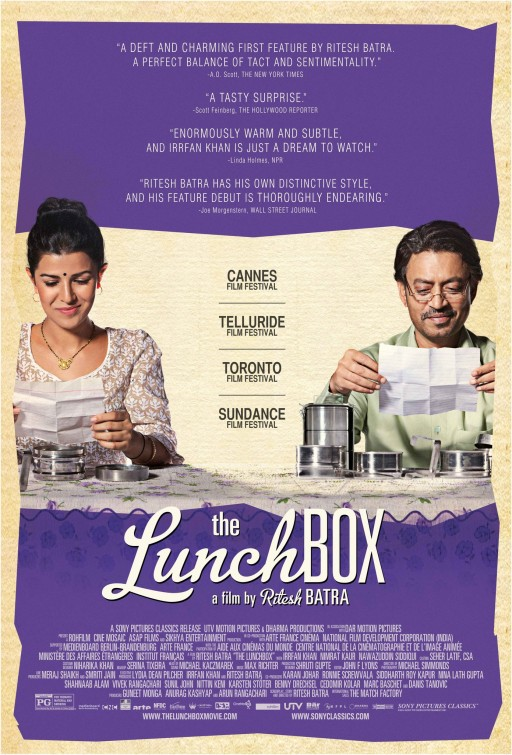 Despite the subtitles (which can sometimes be distracting), The Lunchbox is definitely a 4 star film! Prep school English teacher Jack Marcus (Clive Owen) is on the verge of losing his job. Once an acclaimed writer, Jack’s life has spiraled out of control. 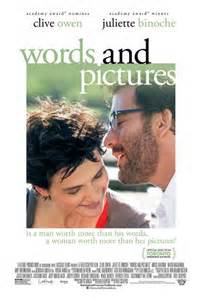 When newly hired art teacher Dina Delsanto (Juliette Binoche) claims “words are lies,” Jack takes that statement as a challenge to prove words are more powerful than pictures. Will their flirty rivalry allow Jack and Dina find love and redemption? I have to admit I’m a bit favorably biased when it come to movies starring Clive Owen. That said, Words and Pictures is not only a love story between two flawed people, but it also examines present day culture-students’ lack of interest in learning to gain knowledge, rather than for test taking; the effects of social media on present day writing; and whether a picture is worth a thousand words. Words and Pictures will make you question the role of art and writing in our society. 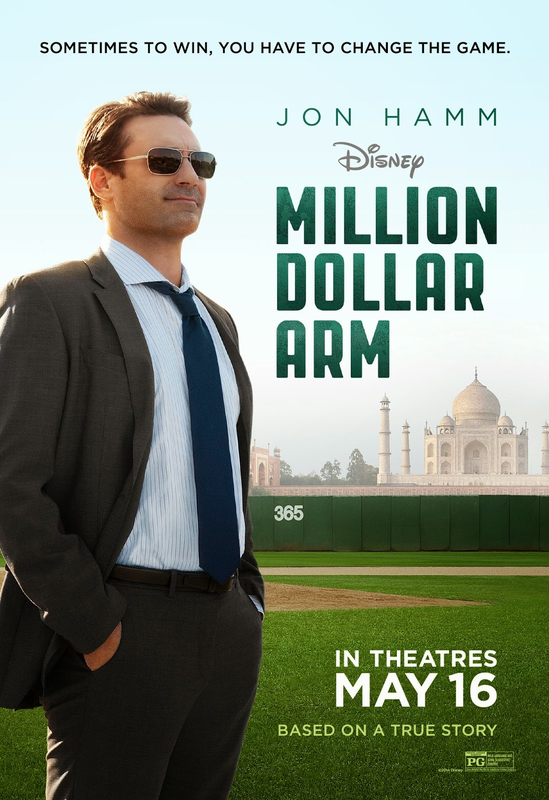 Based on a true story, Million Dollar Arm is a feel-good movie. Sports agent J.B. Bernstein is about to lose his business when he and his partner decide to convert a cricket player into a major league pitcher. JB travels to India, holds a contest to find two players with potential, brings them to the U.S. to train with USC coach Tom House and sets up a major league try-out. Along the way, JB learns the meaning of family and becomes a better person. I usually go to one professional baseball game a year and never watch it on television, so it’s fair to say I’m not really into baseball. That said, I really enjoyed Million Dollar Arm. In the sports tradition of rooting for the underdog, I got into the film and wanted Dinesh and Rinku, the two ball players from India, to be successful. When Kevin and I saw 21 Jump Street (the precursor to 22 Jump Street), we were pleasantly surprised by how much we liked it. Jonah Hill and Channing Tatum were perfectly cast, and the movie wasn’t afraid to make fun of itself. Naturally, we went into 22 Jump Street with pretty high expectations-we weren’t disappointed! Though at times it was crude, it was hilarious. Expanding Ice Cube’s role and adding Wyatt Russell (son of Goldie Hawn and Kurt Russell) to the cast made the sequel even better than the original! Be sure to stay through the credits for additional entertainment! 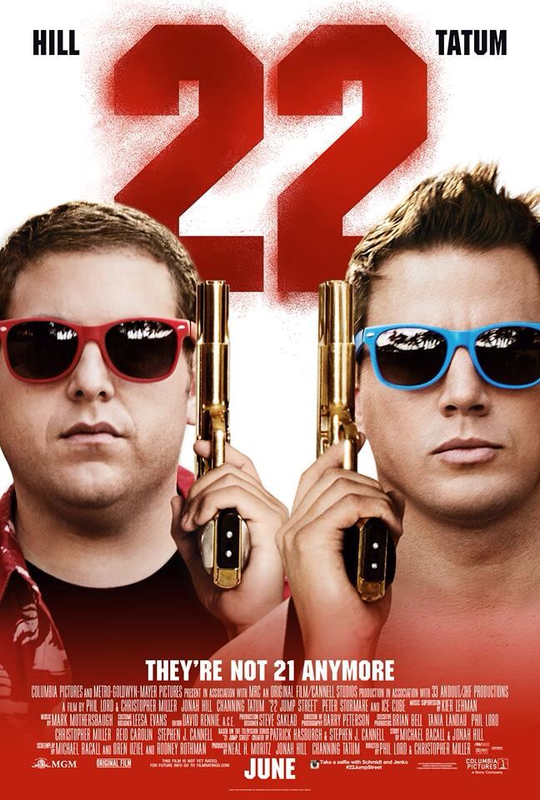 Like in the original movie, Jonah Hill and Channing Tatum are undercover police officers Schmidt and Jenko. Instead of being in high school, this time they’re sent to a local college to find the leader of a drug ring. Will they be able to crack the case? Every now and then, I make an impulsive splurge purchase. I was shopping about a month ago, saw this sweater and had to have it. I love everything about it-the color, texture, shape, peek-a-boo shoulder slits and mostly the fact that it’s so unique. I used to be afraid of staining my special pieces. With the current stain removers available and with dry cleaning services, most spots are removable. If the stain isn’t removable, at least you got to enjoy wearing your special item. I also used to worry about tearing or ruining pieces. Clothes can often be mended, but if they can’t, see above. Finally, everything eventually goes out of style so enjoy wearing your special clothing! Jonas lives in a perfect society where emotions are non-existent, people are polite and respectful, and where all decisions made for them. After all, what would happen if they made a bad choice, like marrying the wrong person? In his 12th year, Jonas is assigned to become the Receiver of Memory, the only person in that society who feels pleasure and pain. Will this job be too much for Jonas? 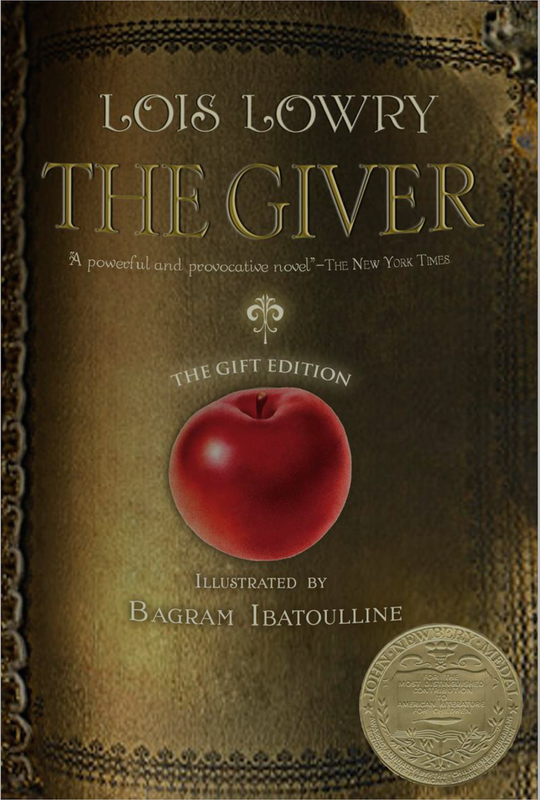 I decided to read The Giver because it is #38 on Amazon’s list of 100 Books to Read in a Lifetime. What a good decision! This book is insightful and moving. Because I’m a pretty calm person, emotionally speaking, I used to think it might be better for people to feel less emotional pain. I now see that without the pain, the joys would also be lessened (a total cliché, but sometimes they are clichés because they have truth in them). Thirty-eight more books to go! I’m lucky enough to be married to one of the few men who doesn’t mind checking baggage for a trip. However, when the airline we usually fly doubled its checked bag fee, I converted to being a carry-on passenger. I‘ve learned a few tricks so save some space. Multi-tasking products are the best! This BB cream saves me the space in the “all-important 1-quart of liquids bag” by acting as a tinted moisturizer and sunscreen. This combination of eye shadows and lipsticks save me from packing, obviously, individual eye shadows and lipsticks, but also eyebrow and eyeliner pencils. 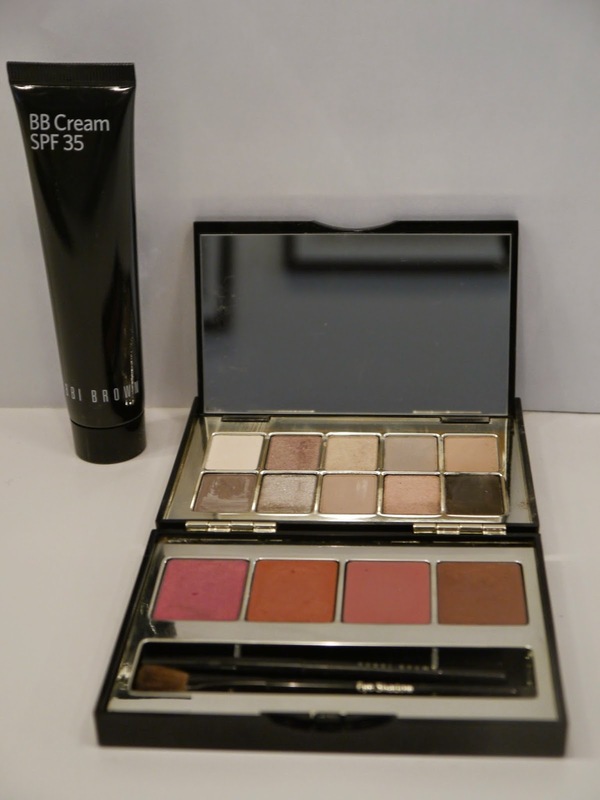 I use the dark taupe to fill in my eyebrows and wet a thin brush and dip it in the black shadow to use as an eyeliner. I’d love to hear your tips for saving valuable suitcase space. Even though a lot of movies have recently been released, it’s been a while since my last movie recommendation. Sorry for that-we were on vacation and didn’t go to the movies. That said, I’m very excited about some of the movies playing in theaters and plan to see quite a few of them. 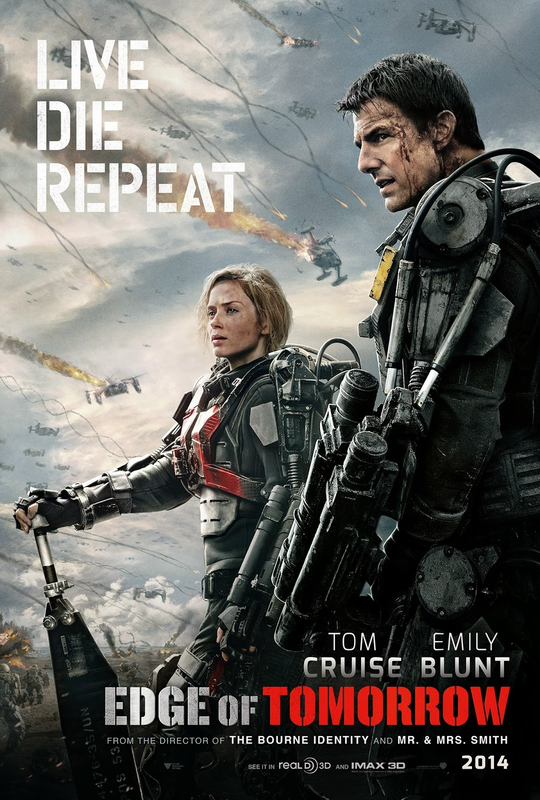 In Edge of Tomorrow, Europe is occupied by hostile aliens, and Major William Cage (Tom Cruise), an officer who has never seen combat, is forced into a suicide mission. Like in the movie Groundhog Day, Cage relives each day, learning from his experiences, becoming a better soldier and trying to improve the humans’ chance for winning the war. Decorated soldier Sergeant Rita Vrataski (Emily Blunt) trains and battles aliens with him. Lately I’ve seen too many mediocre action movies (I don’t blog about them) and was pleasantly surprised to find that I loved Edge of Tomorrow. It has all the right action movies elements- the plot is good, the characters are complex, the story line is unpredictable and it has just the right amount of humor. Edge of Tomorrow is top-notch! A few months ago, I took a dim sum cooking class at the Boston Center for Adult Education. I loved it! Chef Kevin Chang and his wife, Ginny, taught the class and showed us how to make the BEST Chinese dumplings. They were kind enough to allow me to share their recipe here. mixture in the bowl. The purpose is the compress the mixture. the edge of half of a skin with a beaten egg. the ingredients into a sealed jar and shake. In a mixing bowl, combine the cabbage and 1 teaspoon salt. Using your hands, work the salt into the cabbage for a few minutes. Place in a cheesecloth and squeeze out as much water as possible. Discard the water. 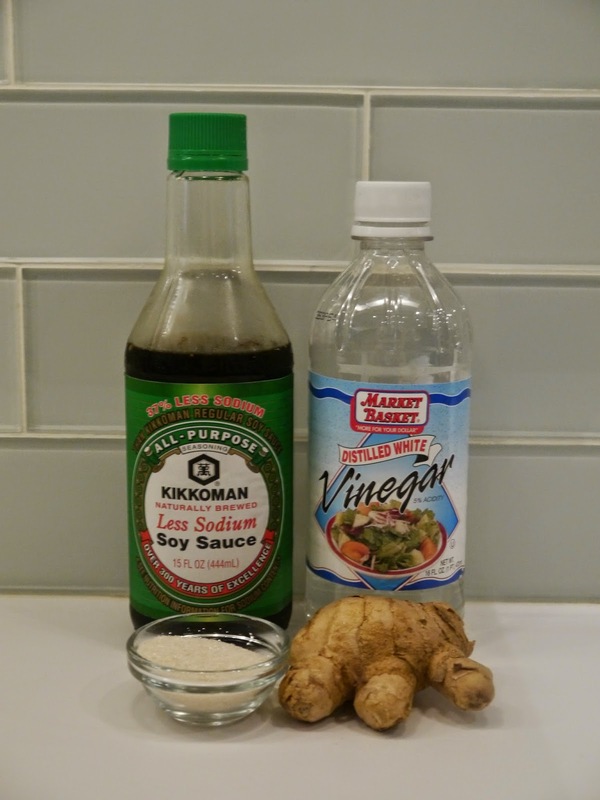 In another mixing bowl, combine 1 teaspoon salt, soy sauce, Hoisin sauce, grated ginger, green onions, sesame oil, white pepper and 1 beaten egg. Add the pork and strained cabbage. Mix to combine. Using one hand, grab a handful of the meat mixture and throw it onto the remaining mixture in the bowl. Repeat this process about ten times to make the mixture compact. In a small bowl, beat one egg. Place about 1 teaspoon of the mixture onto a dumpling skin. Brush the edge of half of the skin with the beaten egg. Press the sides together, creating crimps about every 1/2-inch. Repeat with remaining skins. Place the dumplings in a pot of boiling water, cooking until the dumplings float. Serve immediately or sauté in about 1 tablespoon canola oil until crispy on one side. Serve warm.